I threw out the hard drive that caused me to stop keeping a personal journal. I have had it kicking around since the year 2000. I had an unbacked up hard drive that died. I lost about a year of writing when that hard drive died. It just crushed my desire to keep writing in that journal. 1. Drive recovery was expensive in 2000. It would have cost me about $1200 to get it fixed. I could not throw around that kind of money in 2000. My guess is that drive recovery is still expensive. 2. None of my Silicon Valley friends do data recovery as a hobby. When I first came to Silicon Valley I meet people who did all kinds of odd tech things as hobbies. 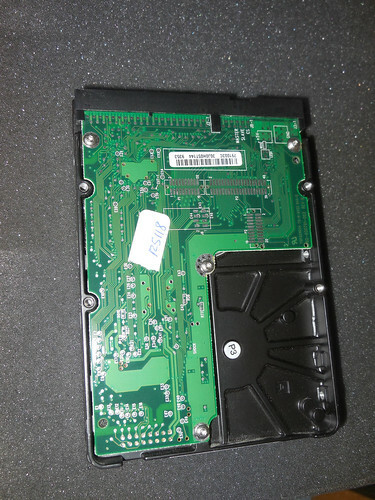 No one thought data recovery would be a fun challenge to undertake. 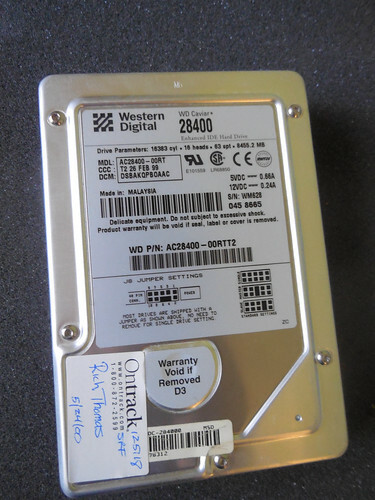 I kept this hard drive for 13 years now. Some where in the back of my head I thought I was going to recover the data from this hard drive. I found out this was a hardware problem and software would not address it. Maybe I dreamt that I would have the money to just throw away to get it fixed. Who knows if it could get fixed now. We got rid of our storage locker. Now we have all of this stuff in our garage. There is so much stuff in our garage I cannot park it right now. I still have a ton of boxes to sort though. That means I have to throw things out. You have to let go from time to time. I had to figure out what to hold on to and what will never be recovered.